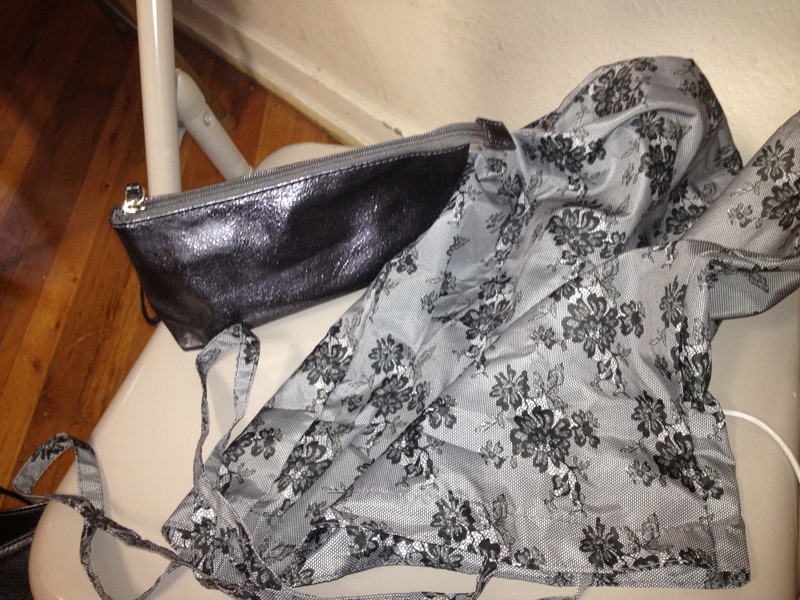 I found this Isabella Fiore bag at Clothes Mentor a couple of years ago. I love everything about it: the beading – exquisite; the leather – divine; the zippers – like butter; the pulls – gorgeous; the woven handles – sigh. I hesitated to use it today because I thought I’d need it for a special occasion. Then I decided today was special. 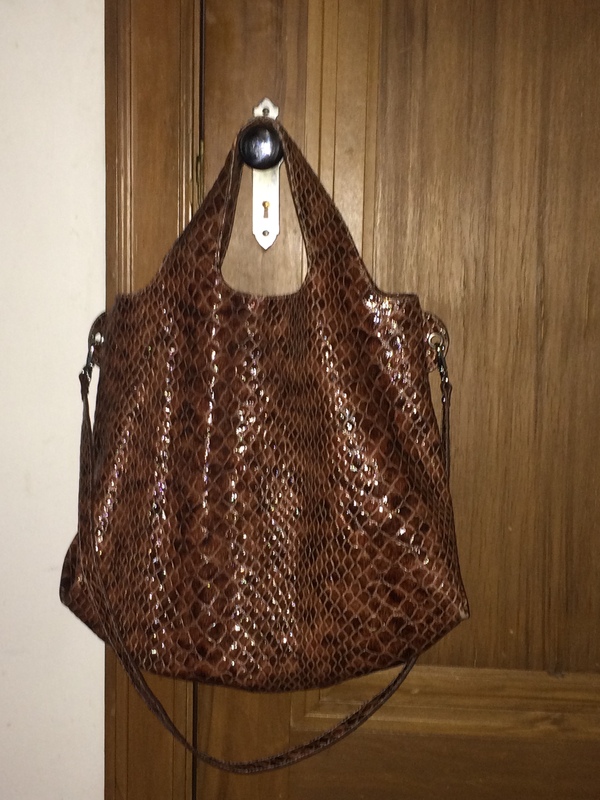 This entry was posted in various places and tagged beading, brown, Clothes Mentor, Handbags and Purses, Isabella Fiore, Leather, metallic, silver, woven straps on April 5, 2018 by miriamgmck. Two more days until my journey ends. Here are days 30-39. I rediscovered some old favorites – all but day 32 were in the blog in April and May of 2013. One I’m getting rid of due to wear. So one new one in, one old one out – it’s balanced. That’s my ode to being a librarian not in work, but in life. My collection is smaller and stronger. Amen. 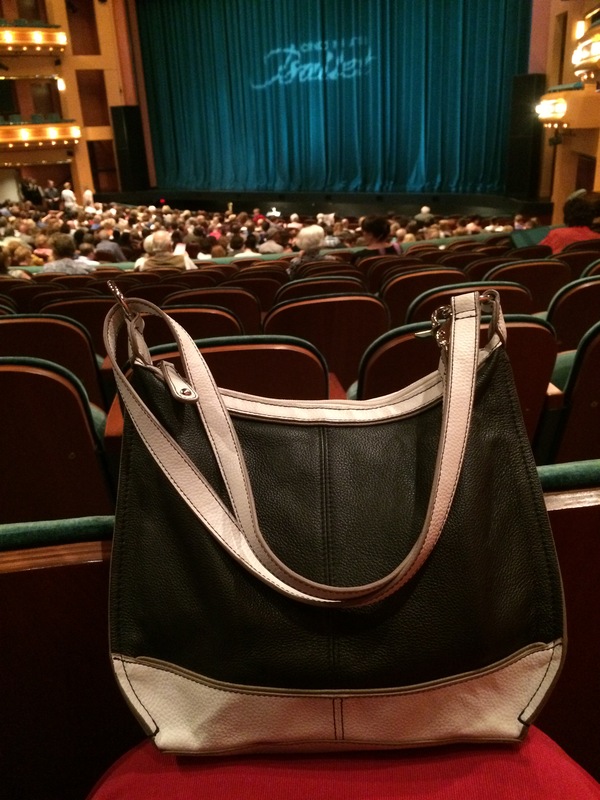 Tuesday, May 5, 2015 – never leave home without a reusable shopping bag. This came with a Wilson’s silver leather tote bag that matches the accompanying cosmetics bag from Goodwill for $8. 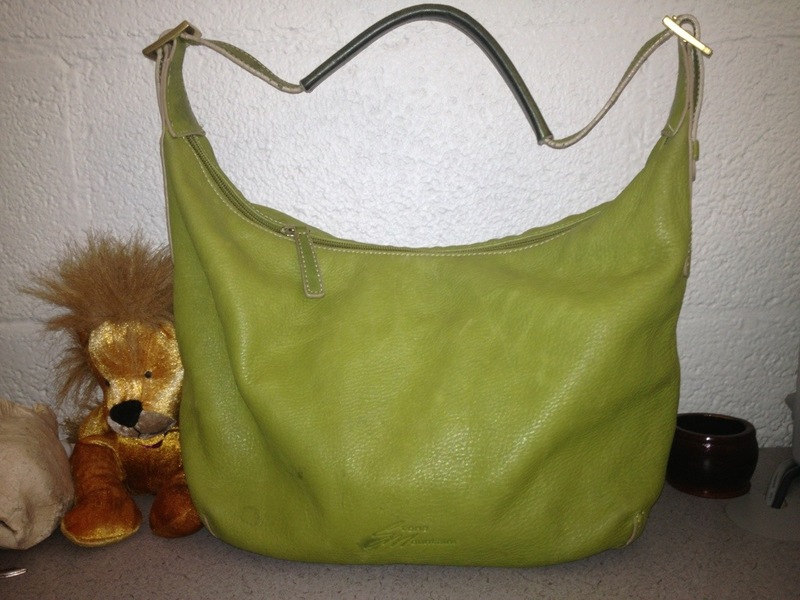 This entry was posted in thrifting, tj maxx and tagged black, crossbody, devi kroell for target, Episcopal, fossil, goodwill, Handbags and Purses, lane bryant, Leather, metallic, pebbled leather, Perlina, st. vincent de paul, Stone Mountain, the sak, thrifting, tignanello, Tote bag on May 23, 2015 by miriamgmck. 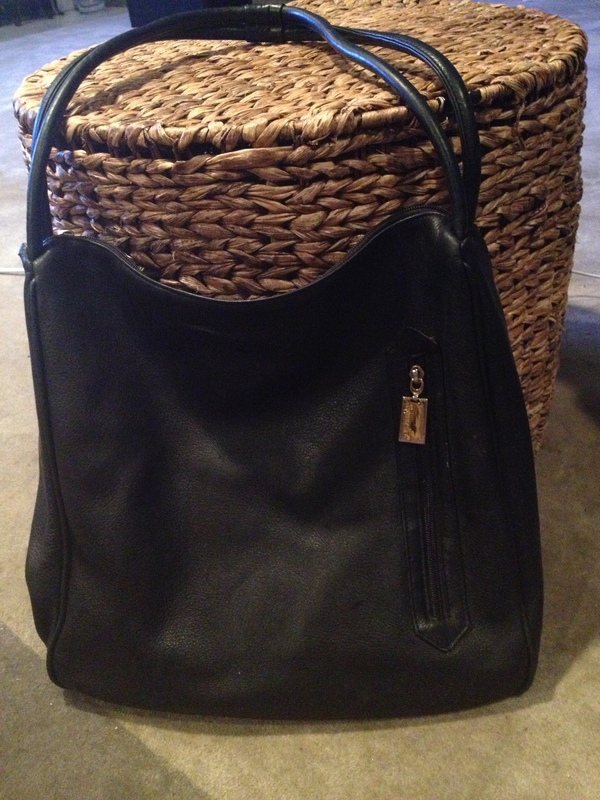 Ok bag lovers, this was a gooooood deal. 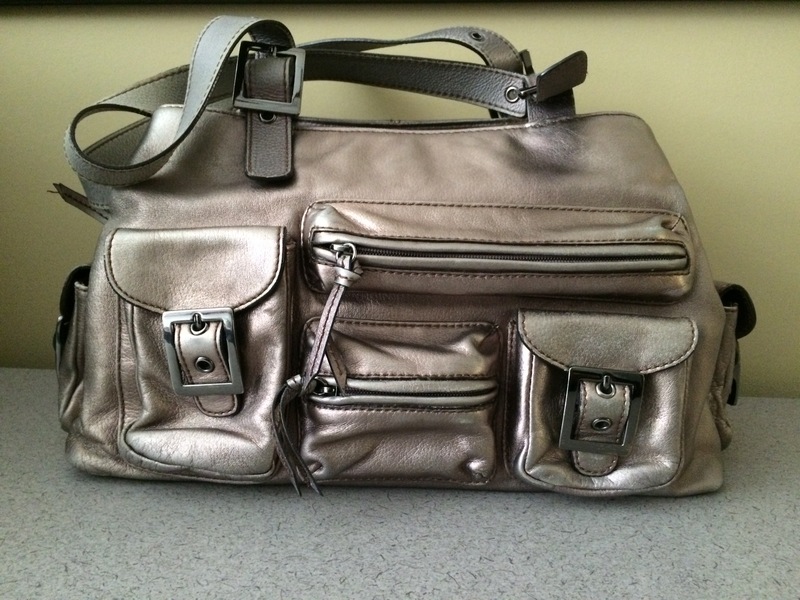 This pewter Hype bag was chillin’ in the back of the St. Vincent dePaul, and they clearly did not understand that this was a high-end bag when they charged $5.99 for it. You can find the fakes in the front of the store for twice that or more. I usually don’t spend much on bags. But one year I was looking for a white purse, and I couldn’t find one I liked. 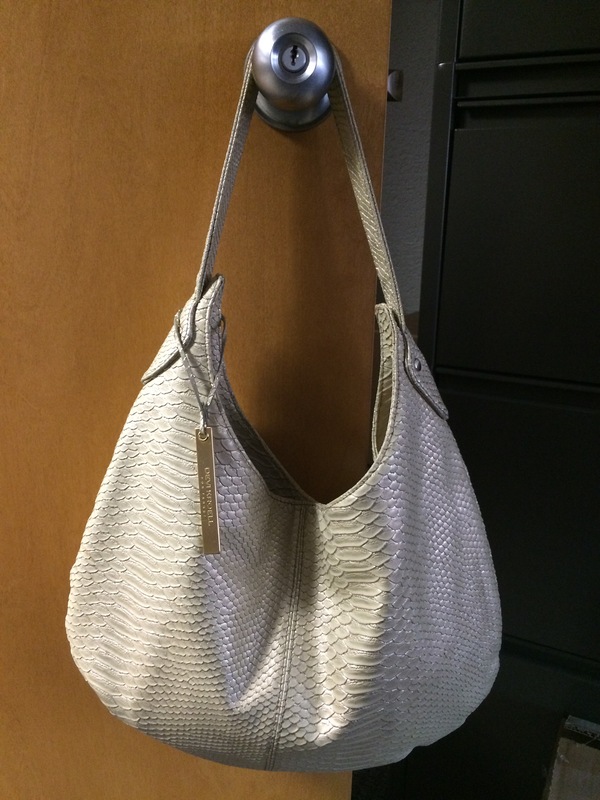 Then one day in TJ Maxx in the Rookwood, I saw this white Hype bag and that was IT. I had just gotten a promotion, so i said congratulations to myself and spent $100 on the bag. That’s how I know this bag is worth at least that retail. Regardless, it’s in great shape and free to a good home. 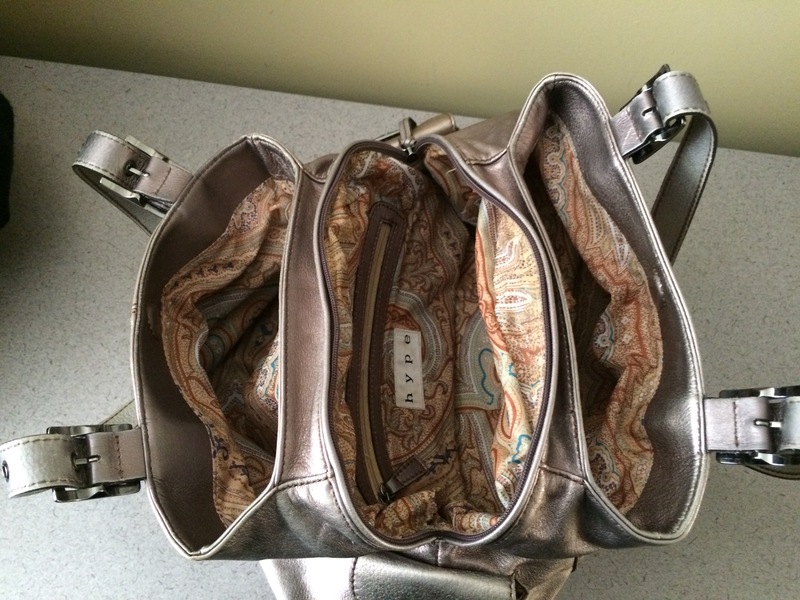 This metallic bag has six exterior pockets with magnetic or zippered closures, a large zippered interior with 3 pockets, and two magnetic-close outer pockets. Paisley-lined. Email 50favbags@gmail.com if you’re interested. If you email the blog, nothing will happen. I don’t intend to publish requests to the blog. 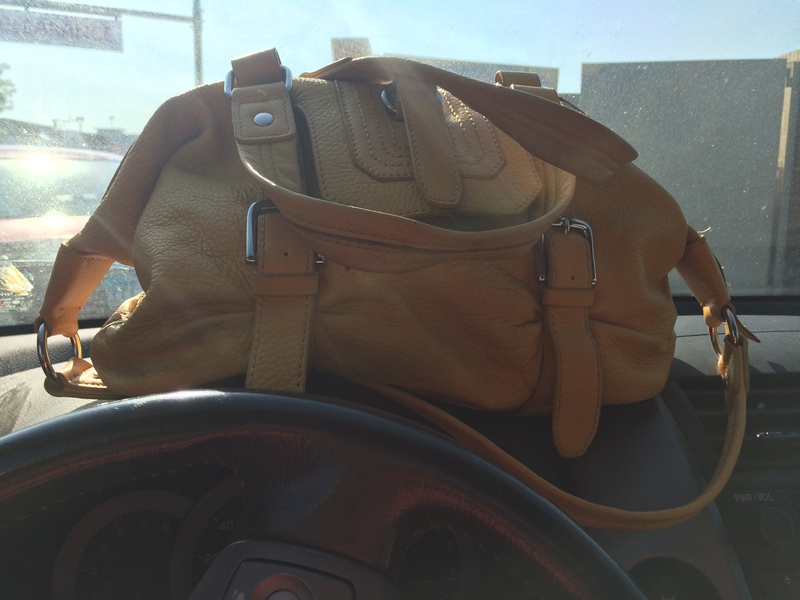 This entry was posted in 2015 Lent bag giveaway and tagged giveaway, Handbags and Purses, Leather, metallic, st. vincent de paul, thrifting on February 25, 2015 by miriamgmck. i shared a beautiful, spirit-led and spirit-filled day with a wonderful group of people. today’s bag was needed to haul my laptop (i’m taking minutes for our board meeting) and all my gear for a long day away from the hotel. this wilson’s leather tote fit the bill perfectly. i got it for $10 at my goodwill last week. it came with not one, not two, but three bags. 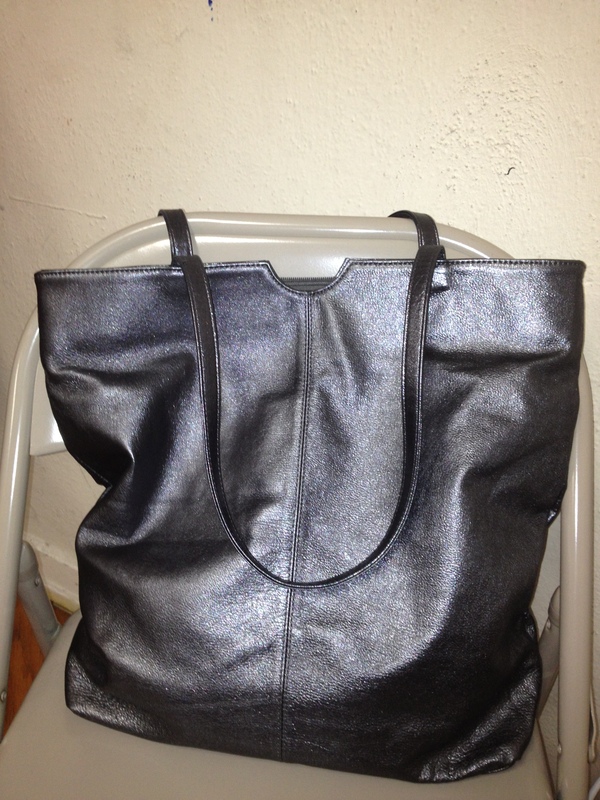 the big silver leather bag, a wristlet, and a nylon shopper. i used them all today and i was so thankful to have such a beautiful way to shlep my stuff. i checked and found some on sale at ebay for $75 – the retail price is $100. what! another good score. i took these photos at All Saints Episcopal Church in Highland Park, just before meeting with their youth group. and i do mean just before, and sorry i’m too tired to crop the top pic. we were there to learn from the people in the church about their ministry, and learn we did. it’s easy to see why people love this church – everyone was warm, welcoming, hospitable, and happy to share with us. i feel so fortunate and blessed to have had such a wonderful day with them and with my colleagues. but frankly i am wiped out. i will sleep hard tonight, with a last meeting and then all day travel tomorrow. peace. 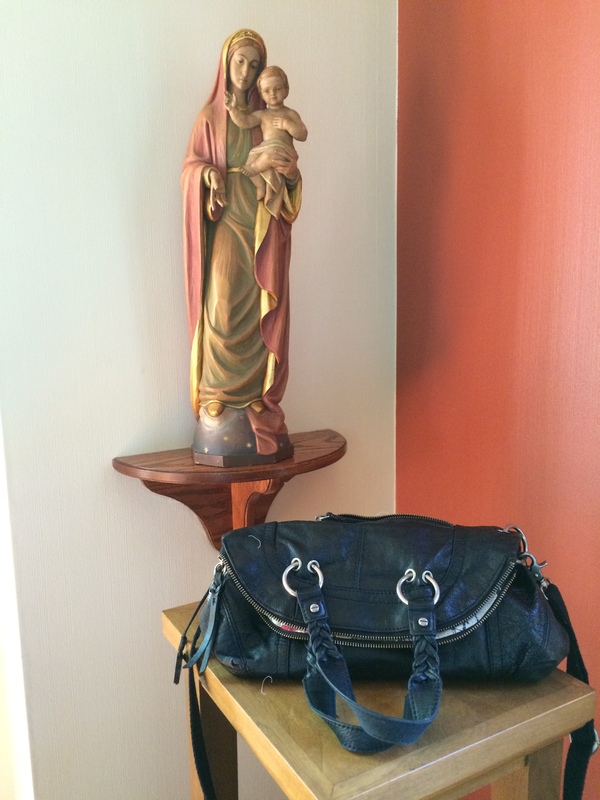 This entry was posted in thrifting and tagged california, church, Episcopal Church, metallic, Religion and Spirituality, silver, thrift store, thrifting, wilson leather on April 23, 2013 by miriamgmck. devi kroell for target. i love when the designers do target, but usually i can’t do the clothes because they don’t make plus sized. like big girls don’t want designer style! so, i accessorize. i have really enjoyed this bag for the last 5+ years. 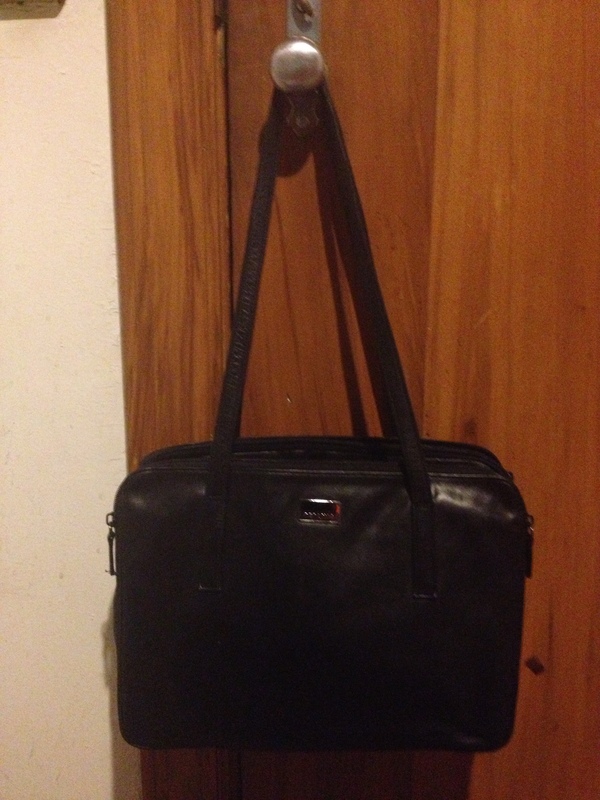 it’s bigger than it looks, and has held up very well with its pleather self. 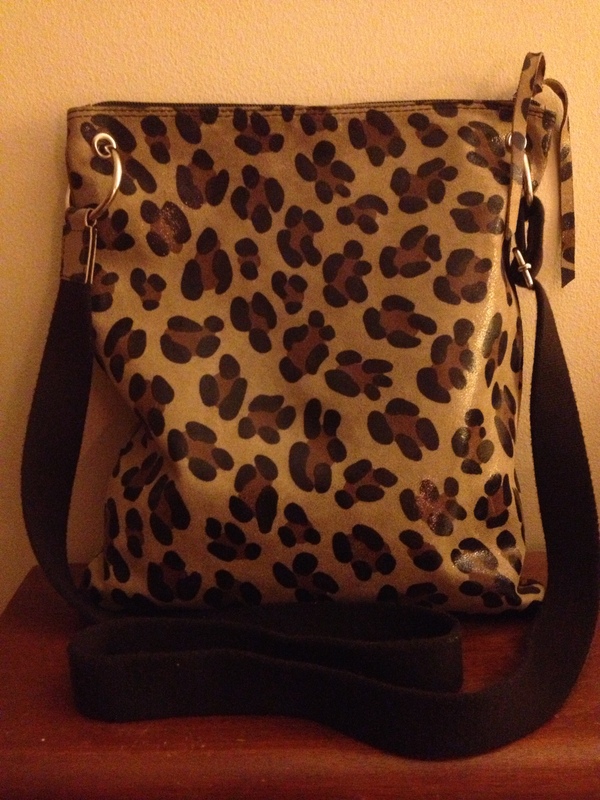 it’s a great rainy day bag, dressy or casual. 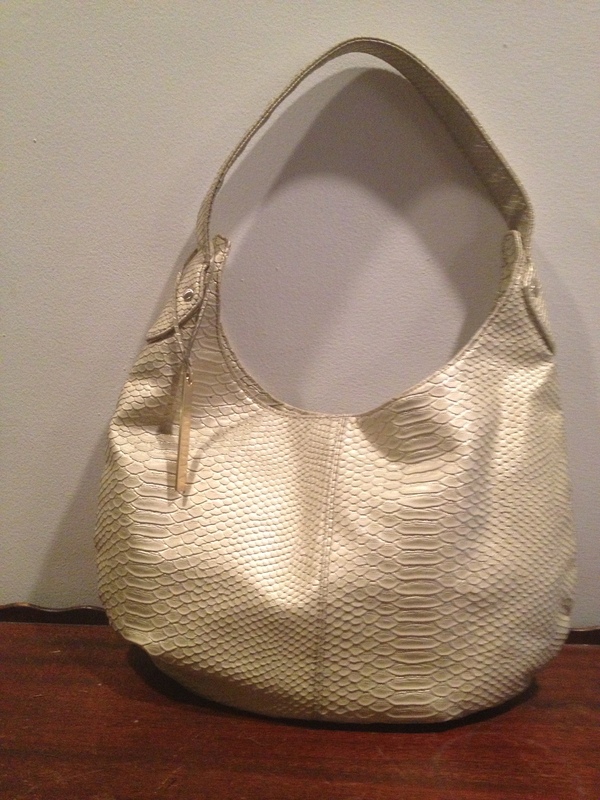 This entry was posted in target and tagged devi kroell for target, faux snakeskin, gold, Handbags and Purses, hobo, metallic, target on April 17, 2013 by miriamgmck. this week posed a challenge for me, as i am in san diego at the Episcopal Communicators conference. i also was steadfastly opposed to checking a bag. so i sacrificed a pair of shoes to make room for the 3 additional bags i had to bring to stay true to my self-imposed challenge. 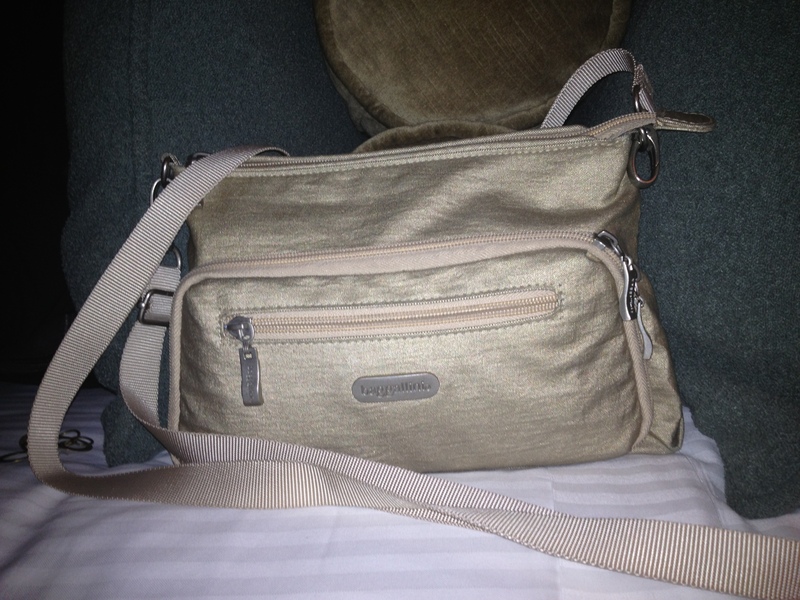 this little baby bag is by baggallini, known for portability and easy travel. i scored this one at the st. vincent de paul near me for $4. i don’t usually carry small bags, but since it’s a crossbody which actually goes across my body, i had to get it and i’m so glad i did. it fit all of my essentials, has lots of pockets and pouches and fit perfectly in my laptop briefcase with my ever-present water bottle and magazines. 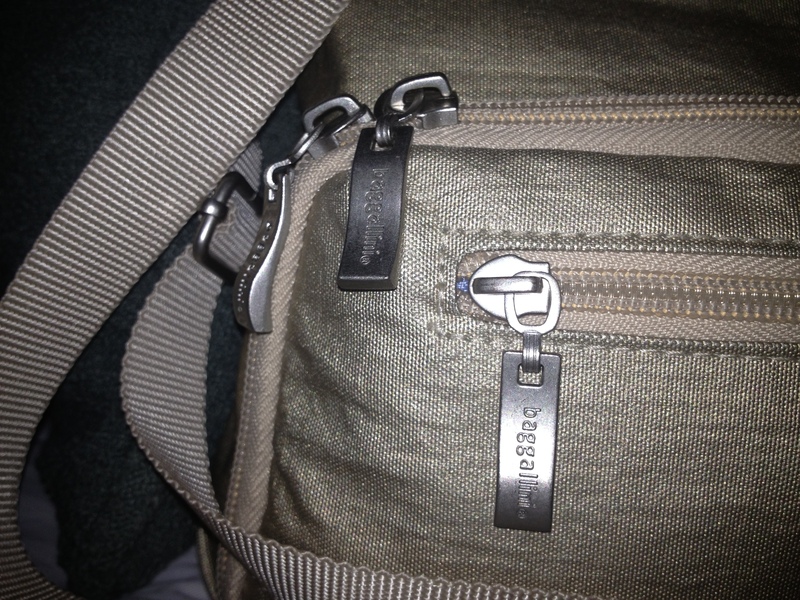 and check out the zipper pulls! ergonomically awesome. matte brushed nickel. 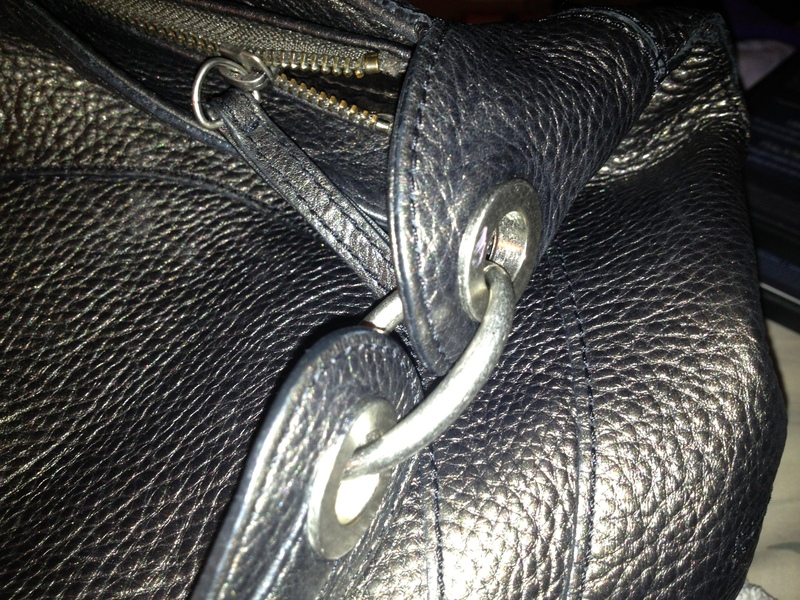 i could play with the zippers for… ok i’ll stop. but i will say that i saw the same bag at tj maxx on tuesday evening for $24.99. whaaaaaaat! i took a picture of it on the plane, but it turned out like my flight – awful. i was totally nervous about the flight, but not about the right stuff, apparently. live and learn! i’m so glad to be in this beautiful city in a fabulous hotel – so in the end, a good day. i had fun with this bag! This entry was posted in thrifting and tagged baggallini, Episcopal, Episcopal Communicators conference, gold, metallic, san diego, st. vincent de paul, thrift store, thrifting on April 3, 2013 by miriamgmck. 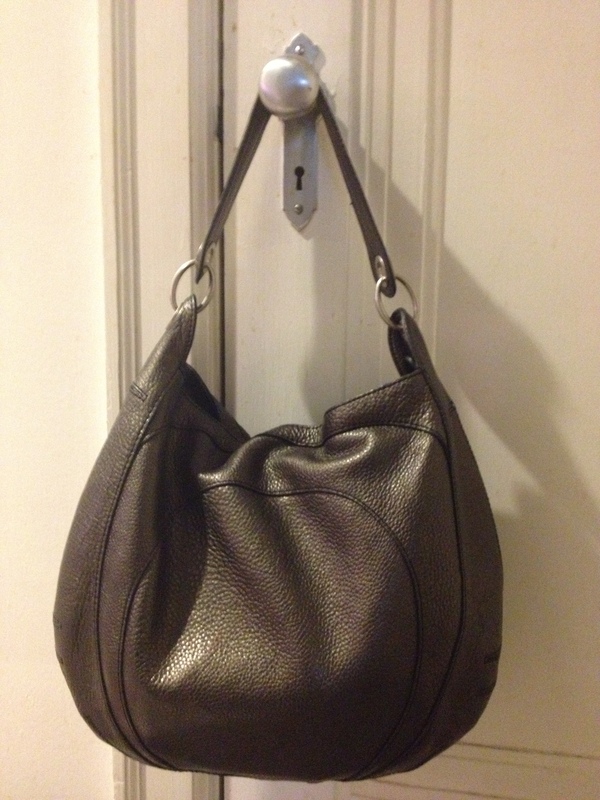 This entry was posted in thrifting and tagged banana republic, Goodwill Industries, hobo, metallic, pebbled leather, pewter, thrift store, thrifting on April 1, 2013 by miriamgmck.